Tactical flashlights are an important part of your everyday carry setup. 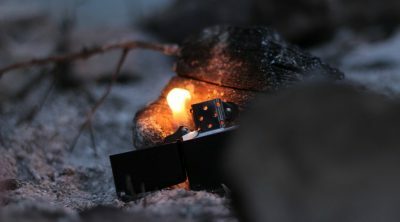 Small flashlights are not adequate for self-defense situations or if you work in environments requiring the use of more powerful flashlights. The best tactical flashlights are also great EDC flashlights as they are well-built, reliable, and bright enough for daily tasks. Reliable and rugged flashlights are a must have specially if you are working in law enforcement, military, or fire department. Tactical flashlights have useful lighting modes such as strobe, SOS, and beacon. They tend to be easy to use which works well in emergency situations. If the need for self-defense arises, these features are ideal as you want to have a tool that just works. You must also choose the best tactical flashlight suited for your situation for bigger flashlights are difficult to carry regularly. The best tactical flashlight is the one that you always have in person, readily available when the need arises. Even if you are not working in these occupations but constantly find yourself spending a lot of time outdoors, you should definitely get a tactical flashlight. You will find them useful for hunting, camping, hiking. It also comes in handy when going for an evening jog or walking your dog after sunset. Here’s a list of some of the best tactical flashlights to check out. 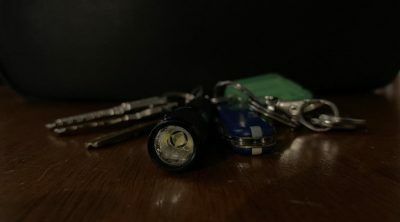 Brightness – A tactical LED flashlight with at least 130 lumens is decent, but those with brightness levels between 500-1000 lumens are recommended. This is bright enough to temporarily blind or disorient an attacker, and also good enough to produce a decent wall of light. Battery – Being able to use two types of battery is ideal. Rechargeable 18650 batteries are cost-efficient. Combined with being able to use disposable batteries as a backup is a good option. If you have no way to recharge and 18650 cell, at least you can pack disposable batteries as backup. They usually have strobe, SOS, and beacon functions which are useful for survival and self-defense. Some are intentionally designed to be easy to use and have at least two modes: high and low or even a single mode. There are those with various LED colors (red, green, blue, UV). Self-defense flashlights mostly feature a crenelated strike bezel that works as an impact tool. Streamlight is a well-known brand among everyday carry enthusiasts. Their ProTac series consists of some of the best tactical flashlight model available. The Streamlight ProTac 2L-X 88063 is an ultra-bright flashlight with a maximum of 500 lumens perfect for any tactical situation. It has dual fuel capability where it is powered by either an 18650 battery or two CR123A lithium cells. This offers an option of using disposable batteries in case the rechargeable battery runs out of power. The included 18650 battery is rechargeable using an integrated micro-USB port. This flashlight features Streamlight’s TEN-TAP programming which allows the use of three settings. Streamlight 2L-X provides high/strobe/low, high only, or low/high combinations. The low mode runs on 40 lumens with a max run-time of 30 hours. The flashlight has a durable anodized aluminum body and has an S-type pocket clip for different carry options. Streamlight 2L-X is one of the best affordable tactical flashlight in our list. The Nitecore SRT7GT is an excellent flashlight useful for tactical or outdoor applications. It is an upgrade from the original Nitecore SRT7 and features multi-colored LED emitters. This tactical flashlight have features useful for law enforcement, military, hunting, and other outdoor tasks. The main LED has a max output of 1000 lumens using a Cree XP-L HI V3 LED. Secondary LEDs emits red, green, blue, and UV light and are useful for various tasks. It is used for traffic management, documents and currency inspection, hunting. It also works for preserving night vision, map reading, and finding things that glow under a UV light. Nitecore SRT7GT compatible with a Nitecore RSW1 pressure switch and used as a weapon light. 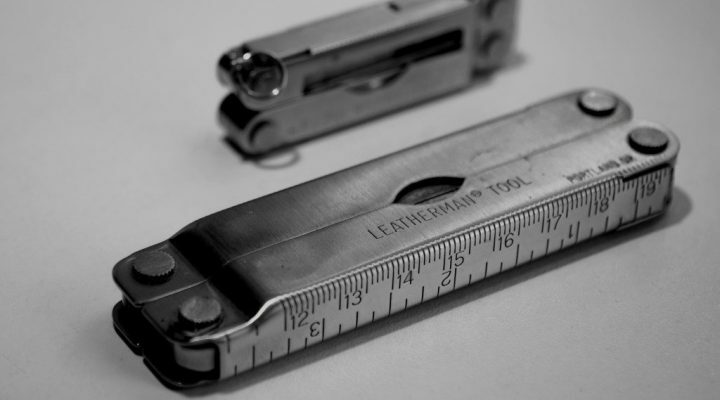 The flashlight has a tough durable construction. Turn the flashlight on/off using the tail switch and change the mode using the Smart Selector Ring. The brightness levels are easily changed by stepping down from the highest mode down to an ultra-low mode (0.1 lumen). The flashlight is powered using a single 18650 battery, or by two CR123 Lithium-ion battery. It includes a pocket clip for ease of carrying. 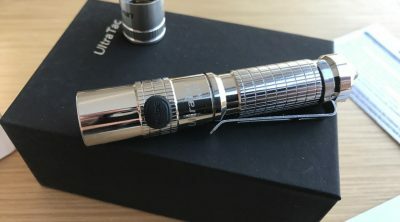 ThruNite TN12 is a compact, ultra-bright flashlight. This is the 2016 updated model. The new version uses a CREE XP-L V6 LED with a maximum output of 1100 lumens. This flashlight is ideal for military, police, firefighters, and also great for outdoor use. It runs on either a rechargeable 18650 battery or two CR123A lithium cells. The flashlight features an easy to use interface suited for tactical use. There are two switches: the tail switch turns the light on/off and the side switch adjusts the modes. The flashlight has five modes: Firefly, low, medium, high, turbo, and strobe. There is a mode memory which retains the last brightness level used. There is no need to cycle through the levels when using the flashlight. ThruNite TN12 has a fantastic build quality made from hard-anodized aircraft grade aluminum. The side switch in this upgraded model was changed to stainless steel for better tactile feedback. It also provides quick access to strobe. The flashlight comes with a nylon sheath, lanyard loop, and a pocket clip. Fenix is a well-known brand of high-quality flashlights. The Fenix PD35 is one of their popular models which have gone through several upgrades. This particular version, The Fenix PD35 TAC tactical edition has Cree XP-L V5 LED that outputs a maximum of 1000 lumens. It also has an upgraded stainless steel side switch. The flashlight uses a single rechargeable 18650 battery. But there is always the option of using two CR123A batteries in case of emergencies. The flashlight features dual operating modes: tactical and outdoor. The tactical mode disables the side switch and relies on the rear switch for operating the light and changing through turbo, low and strobe modes. The outdoor mode uses the side switch for all flashlight functions. Fenix PD35 TAC edition has a rugged aircraft grade aluminum body with an anti-roll bezel and a textured pattern for a better grip. The flashlight head has a shallow scalloped bezel. This allows a little light to shine through when the flashlight is left face down on a flat surface. The IPX-8 rating makes the flashlight water proof to 2 meters. The Fenix TK20R is a high-performance, micro-USB rechargeable tactical flashlight. It is capable of delivering up to 1000 lumens of brightness for a maximum distance of 1000 feet. The flashlight uses a CREE XPL-HI V3 LED and powered by a single 18650 rechargeable battery. Using two CR123A cells is possible for emergencies. The flashlight has 5 brightness levels from the low mode of 10 lumens going up to 1000 lumens. The tactical tail switch provides momentary on/off ability and the side switch changes the modes. Fenix TK20R has a high-quality aircraft grade aluminum alloy body. It features a stainless steel side switch, steel pocket clip, anti-slip and anti-roll grip ring, and a crenelated strike face bezel. IPX-8 rated protection means that this flashlight is dust and waterproof up to 2 meters. This tough flashlight has a dual-layer body with inner waterproofing for added impact resistance. This compact tactical flashlight is ideal for various tactical applications, fire and rescue, and general outdoor tasks activities. 5.11 TMT A1 Tactical Mission Torch is a small lightweight tactical flashlight with a Cree XPG-B LED. It is capable of delivering up to 130 lumens maximum brightness using a readily available single AA battery. This tactical LED flashlight is simple to use with basic functions. The tail cap switch functions as a steady or momentary on switch and for changing modes. There are two modes, low at 15 lumens and high at 130 lumens. It also features a strobe function to disorient and confuse a person. Constructed from durable aircraft-grade aluminum, the 5.11 TMT A1 is water resistant and has an impact resistance of up to 3 meters. 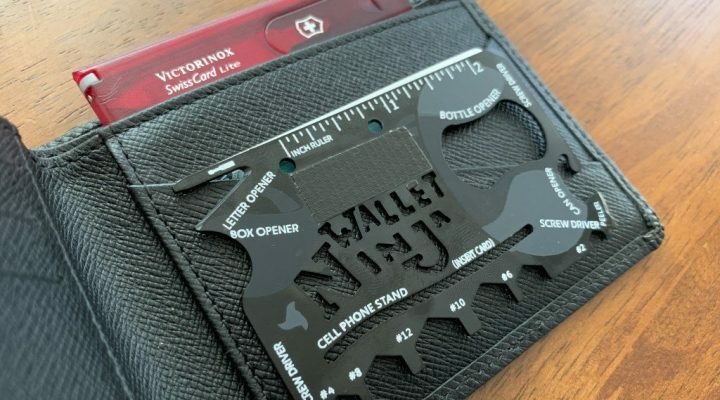 It includes a pocket clip, breakaway lanyard, and anti-roll ring. SureFire G2X Pro is a dual-output tactical flashlight with a maximum output of 600 lumens. 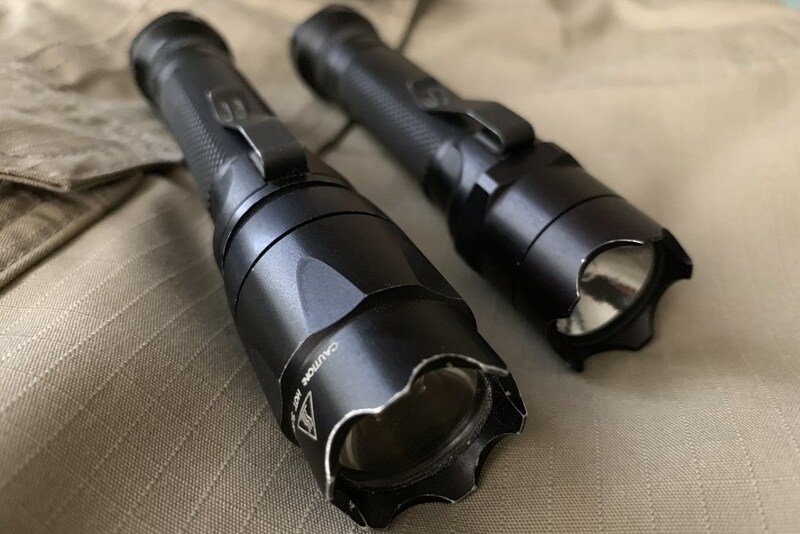 The military grade flashlight has a highly efficient LED emitter paired with a precision micro-textured reflector that produces a wide useful beam. It runs on two Lithium-ion CR123A batteries. A patented lockout tail cap protects the flashlight from accidental activation when not in use. The flashlight has two output levels: 600 lumens on high and 15 lumens on low. SureFire G2X Pro has a smooth ergonomic and lightweight body. It has a tough Nitrolon polymer construction with a hard anodized bezel for added durability. This makes it comfortable to hold in cold weather and even when wearing gloves. SureFire G2X Pro is one of the best law enforcement flashlights that works well for outdoors, emergencies, or as an everyday carry flashlight. The SureFire Fury Dual-Fuel Tactical flashlight is a new model from SureFire’s Fury line of flashlights. It features dual-fuel capability. Able to use an 18650 Lithium-ion rechargeable battery or two CR123 batteries. It is an ideal military tactical flashlight. This extremely bright flashlight has a maximum brightness of 1500 lumens and powered by an 18650 battery. On CR123 cells, the output will be down to 1200 lumens maximum which still is a decent amount of light. This tactical model is a single output flashlight which makes it simple to use as it will always turn on with maximum brightness for tactical purposes. SureFire Fury DF Tactical is the best tactical flashlight. Simple to operate and delivers a strong high output beam. Pelican 7600 is a high-performance tactical flashlight. It features a durable design, three LED colors, and IPX-8 waterproof. Designed for industrial use or as a police flashlight. This makes it perfect for police, security, and first responders. 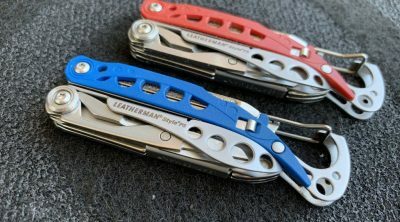 It is also great for the outdoors or for daily carry. This super bright flashlight produces up to 944 lumens with a distance of 255 meters. Medium and low modes are at 479 lumens and 39 lumens. The red and green LED preserves night vision and also works as a useful traffic control tool. The flashlight has a lightweight aluminum alloy body with Type III hard anodized finish for durability. It is charged through a hidden micro-USB port. It uses an 18650 Lithium-ion rechargeable battery and can use two disposable CR123 batteries if needed. Pelican 7600 has well-rounded features making it one of the best tactical flashlights to have. Olight M2R Warrior is Olight’s latest dual-switch LED tactical flashlight. It features a Cree XHP35 HD LED powered by a high-discharge rate 18650 battery. This military grade flashlight is capable of delivering output ranging from 1 to 1500 lumens. This is one of the brightest tactical flashlights in our list. There are six modes plus strobe, SOS, and beacon. The flashlight has an aircraft grade aluminum body with hard anodized finish. It features Olight’s signature strike bezel around the flashlight head. The dual switch design consists of a side switch and a tail cap switch. Both switches are able to turn the light on/off. Olight M2R Warrior has a dual direction pocket clip that allows deep pocket carry. The tail cap switch doubles as a magnetic charging port using Olight’s magnetic charging cable. Olight M2R Warrior Cu flashlight with an outstanding copper finish is also available. The Smith & Wesson Duty Series CS RXP is a compact everyday carry flashlight powered by a single 18650 rechargeable battery. It delivers up to 1045 lumens using a Cree XP-L LED and has five brightness levels. No need to remove the battery when charging as the flashlight is recharged using the integrated micro-USB port. This durable flashlight is constructed from strong anodized aerospace-grade aluminum with hard anodized finish. It is both impact and water resistant and has a crenelated bezel which allows the flashlight to be used as a self-defense tool. Anker LC130 is an excellent entry-level tactical flashlight that offers great performance. It is an affordable flashlight ideal for the budget conscious but needs high quality gear. The Three Cree LEDs delivers up to 1300 lumens of brightness using a rechargeable 26650 battery. There are five brightness levels to choose from ranging from low, medium, high, plus SOS and strobe. The flashlight has durable aluminum construction which is both water and shock resistant. It features micro-USB charging through a hidden USB port that is accessed when the tailcap is removed. SureFire E2D is a classic tactical flashlight and the new model, SureFire E2D LED Defender Ultra is a great upgrade. It has two output levels and features 1000 lumens of blinding brightness on high, and 5 lumens on low. The TIR lens produces a tight beam with enough surrounding light. It is powered by two CR123A Lithium-Ion batteries. This flashlight has a high-strength aerospace aluminum body with MilSpec hard anodized coating for maximum durability. 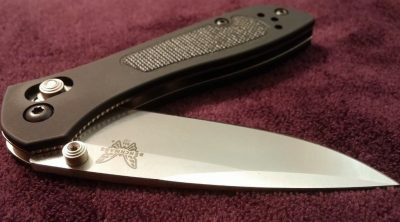 Its crenellated Strike Bezel and scalloped tail cap makes it a robust impact weapon for self-defense. The dual-output tailcap click switch is simple to operate and very reliable: press for momentary on, and click for constant on. click again to turn it off. Olight Warrior X (Olight Warrior 10) is the latest powerful flashlight from Olight. This tactical flashlight features long beam distance of up to 560 meters, and delivers an output of up to 2000 lumens. This tactical flashlight is powered by a single 3000 mAh high-discharge 18650 battery. It uses a Cree XHP35 NW LED which produces an excellent beam. It features a unique built-in vibrating battery indicator. A small motor triggers three unique vibration alerts when the battery level is low. An additional feature is the RWX Magnetic Remote Pressure switch that is magnetically attached to the tailcap. Pair it with the E-WM25 Weapon Mount for added tactical capability. Olight Warrior X has a thick aluminum body construction and a 3mm thick tempered glass lens for that added durability. The quiet tail switch operates the flashlight and changes between two modes and strobe. USB charging via Olight’s MCC charging cable makes it convenient to top off the battery. Olight M1T Raider is a pocket-sized flashlight that works well as a backup tactical flashlight. Its compact design makes it convenient to carry and the pocket clip allows for different carry methods. Attach it to your bag, belt, pockets, or clip on to a cap to function as a hands-free headlamp. Powered by a single CR123A battery, this super bright tactical flashlight uses a Luminus SST40 CW LED. It has a maximum brightness of 500 lumens and equipped with a TIR optic lens that produces a soft beam for reading or close range lighting. There are two modes, low at 5 lumens, and high at 500 lumens. Constructed from high grade aluminum, Olight M1T Raider has a unique body knurling pattern for better grip. The smooth and crisp tail switch operates the flashlight and changes modes. A great tactical flashlight with smooth beam and compact size makes it ideal as an everyday carry tool.